As pr professionals we are given the task of promoting a pr clients event, but then sometimes asked how can we get more people to attend the event from previous years. This year we worked on a local RV Show that is sponsored by the Recreational Vehicle Industry Association (RVIA) at the Fairplex in Pomona, CA. As in the past few years working with this consumer event, we looked at having some sports legends meet and greet visitors. 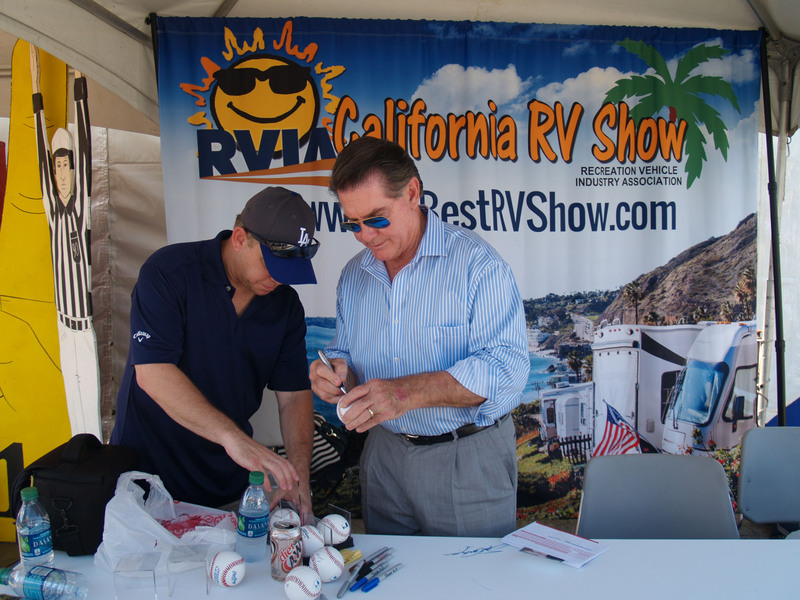 Knowing that many RVers enjoy different sports, and a lot of them will park their RV at the stadiums the night before, we decided to bring some of the greats in Baseball and Football. Our local publicity plan for the 63rd RVIA California RV Show included having the opening weekend (Oct.9) of the 10-day be kicked off with Miss California USA doing the opening. 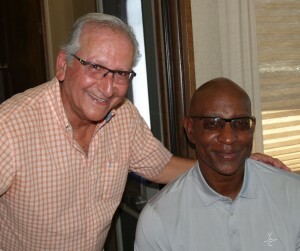 Then on Saturday and Sunday we had Steve Garvey (LA Dodgers), Jim Abbott (Angels) with sports host Roger Lodge, and an NFL Hall Famer, Eric Dickerson draw a large crowd for the first three days. Also, we had lots of media cover the event a couple of days prior to the opening. This week we had other media attend that included a Chinese TV station. The coming weekend we are having another local TV station plus two radio stations (including Vic the Brick) doing live broadcast. And to make the final weekend of the show be successful, we have Rick Harrison (TV reality star on Pawn Stars) do a meet and greet. We did keep the focus on the introduction of the 2016 model RVs from over 45 manufacturers so visitors who attended the show would know what new features they can expect to see at the show. 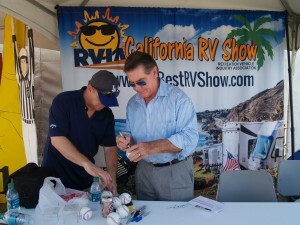 The sports legends gave people another reason to see their favorite athlete while shopping for their new RV. There are many ways to give some “punch” to an event, and if you understand the audience that will be attending, it is best to tie-in something that will attract them to the show. Publicity is more than sending out press releases, or having a press conference, we look at publicity as a means to communicate a message to a client’s customer. Keeping this in mind should open your creative juices to find that “hook” to give your next event the punch it needs.